What is that bright heavenly body in the morning sky? 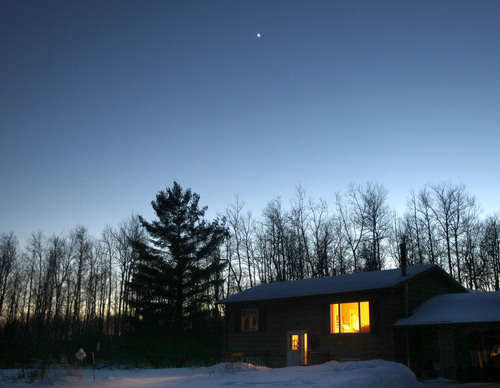 Venus on a Sunday night near Duluth, MN. Starting in early February, as I was leaving for work on the cusp of a new dawn, I saw with my little eye a bright star-like object in the east-southeast corner of the sky. I was pretty sure it was a star or planet or some such, but thought that I had better investigate. Venus comes closer to earth than any of our sister planets  a mere 26 million miles  and its brilliance is attributed to the high reflectivity of its clouds, which are largely composed of droplets of sulfuric acid.